What's up online peeps?! I got press samples again! I got a huge package from my girl Molly at Shinespark Polish so I will have quite a few things to show you guys. First up is Maveth inspired by Agents of Shield, for April's Polish Pickup, theme is Across the Universe. 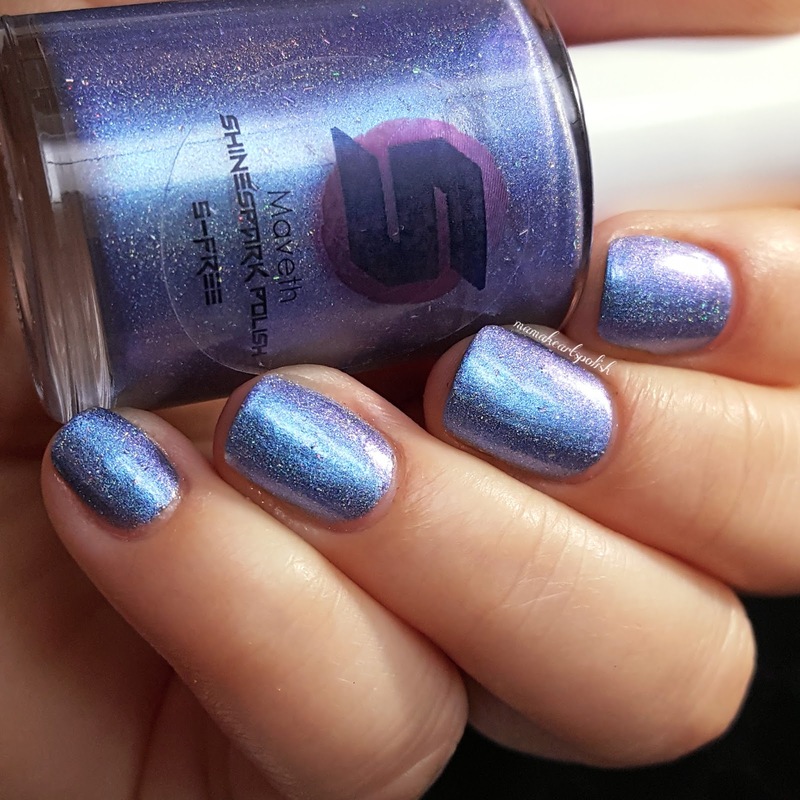 This is a gorgeous multichome holo flakie polish that shifts from like a silvery blue to a purple/lavender. 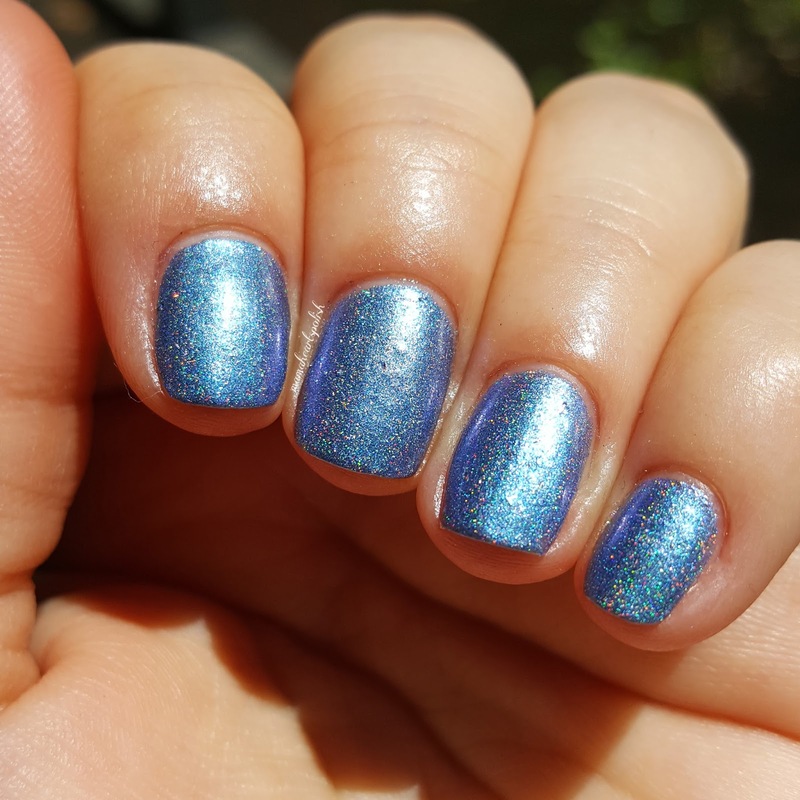 It's got a strong linear holo flame and holo flakies! The only frustrating thing is that the multichrome effect was hard to capture on camera. When Molly first mentioned it I was like...whut? No way, it's so shifty. But nope, she was right, it took so many shots and all day yesterday. And by the end I was like "it's shiftier than this in person!!!! Arghhhh!!!!". And gave up cause I was starting to neglect my kids. Point being, there's lots of swatches below in different lights and cameras. My cellphone caught the shift better but dulled the holo while my Nikon captured the holo nicely but no shift. Formula was great! Nice and smooth. 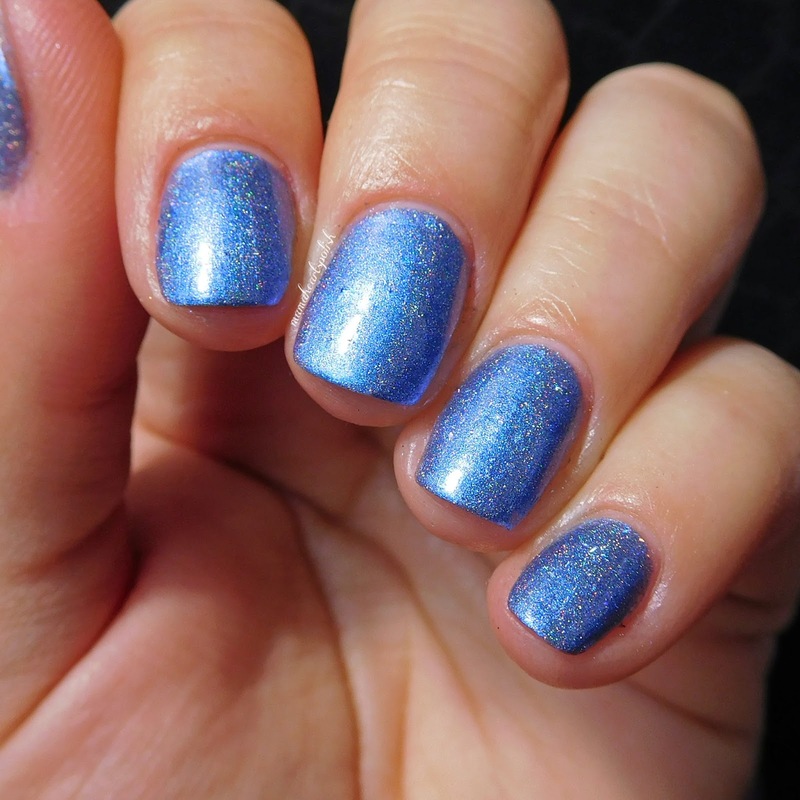 Swatches are 3 coats of polish, it starts out thin but reaches opacity on the 2nd coat. I added a 3rd cause I felt it looked even better that way. No staining on my nails or removal but I did have a ton of flakies stuck everywhere that I had to scrub at. That would be the only "issue". Photo swatches, where to buy info, and live swatch video below. I highly recommend the video, especially the end so you can see the polish shifting better. 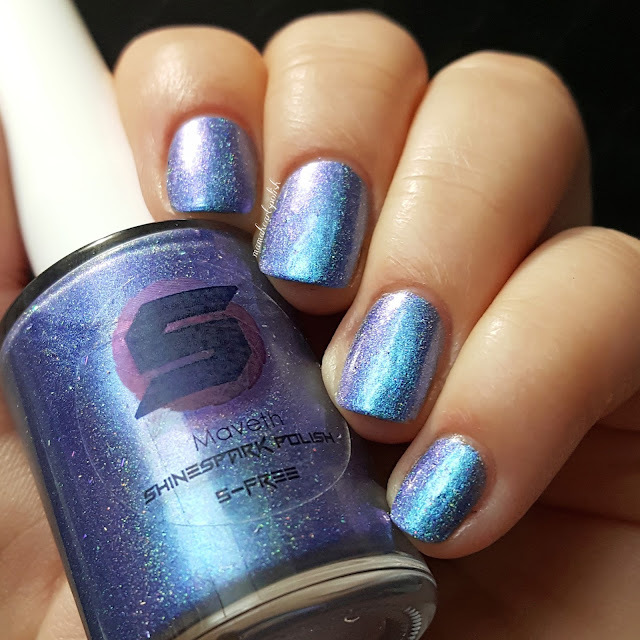 Shinespark Polish Maveth will be available at http://www.polishpickup.com from April 6th to the 9th. Check out the Facebook group for more info: https://www.facebook.com/groups/polishpickuppack/.